What is naloxone, and how can it save your or a loved one’s life? First, let's begin with why naloxone, also sold by the brand name Narcan, would be required. You are probably well aware by now that the United States has been in the grips of an epidemic for nearly two decades, stemming from prescription opioid use and abuse. The class of drugs, while extremely effective at mitigating symptoms of pain, they are exceedingly addictive as well. On top of that, taking one or more pills too many can easily result in an overdose. As is evident by the overdose death rates that are nothing short of staggering. There were 20,101 overdose deaths related to prescription opioids in 2015, and 12,990 overdose deaths related to heroin, according to the Centers for Disease Control and Prevention (CDC). Not all of those deaths were people who met the criteria for an opioid use disorder, in a number of cases the people who experienced opioid poisoning were run-of-the mill pain patients who had an adverse reaction. The point being that you do not need to be an opioid addict to succumb to an overdose. It is not a forgone conclusion that an opioid overdose will have a fatal outcome. In overdose situations involving strictly opioids, there is a good chance that naloxone can reverse the life-threatening symptoms. Case in point, like many rural states that have been hit hard by the epidemic, the State of Maine lost 208 of its citizens to a fatal overdose in 2014, The New York Times reported. However, that number pales in comparison to the 829 lives saved by naloxone in the same year. With that in mind, it is easy to see how invaluable the life-saving drug is, and how important it is to expand access to Narcan. It is of the utmost importance that every first responder has the miracle drug on hand. But, it is arguable more important for another group of people to be trained and equipped with Narcan nasal spray kits, addicts themselves and their friends and family. The CDC points out that upwards of 80 percent of overdose reversal cases involved other drug users administering naloxone. When someone experiences an overdose, there are often other people around who can call for help, which takes time—a luxury that an overdose victim lacks. Having the overdose antidote on hand, at the instant a problem occurs, can greatly increase the chance of a reversal. Unfortunately, there are number of obstacle hindering opioid users from acquiring the opioid poisoning antidote, with stigma being a leading roadblock. Patients are unaware of the drugs availability. Pharmacists worry about the implications of offering the drug to patients unsolicited. Patients hesitate to inquire about the drug due to the stigma that accompanies opioids. We wrote earlier, many overdose victims were not opioid addicts. Patients prescribed opioids find themselves reluctant to ask about the drug with their pharmacists for fear of being thought of as an addict. On the other hand, pharmacists worry that offering the drug without being asked, could be taken the wrong way by the patient. Two sides of the coin, both paralyzed by fear and stigma. "There's this tension between patients who are afraid of the stigma associated with asking for naloxone, and pharmacists who worry about damaging relationships or breaking trust with patients by offering it," said study lead author Traci Green, PhD, MSc, epidemiologist and associate director of the Injury Prevention Center at Boston Medical Center. "It's these fears that hold pharmacists back from offering naloxone to people who may need it for themselves or their family." So, what then should be done about the aforementioned reticence? 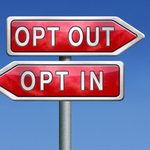 The researchers proffer an "opt-out" model, according to ScienceDaily. Whereby, pharmacists would offer naloxone to any patient filling an opioid prescription, or to any family member filling a prescription for a loved one. Such people would then accept the naloxone or opt-out, this would make Narcan more of a formality rather than something that might be taken the wrong way. "Most overdoses occur at home or with a loved one close by. With expanded naloxone access in the pharmacy setting, we have the opportunity to give people the choice to keep themselves and their family safe, and reduce the stigma of getting naloxone and of addiction. Our study suggests that by giving pharmacists the model and language to do so, they have the power to save a life with naloxone" said Green.